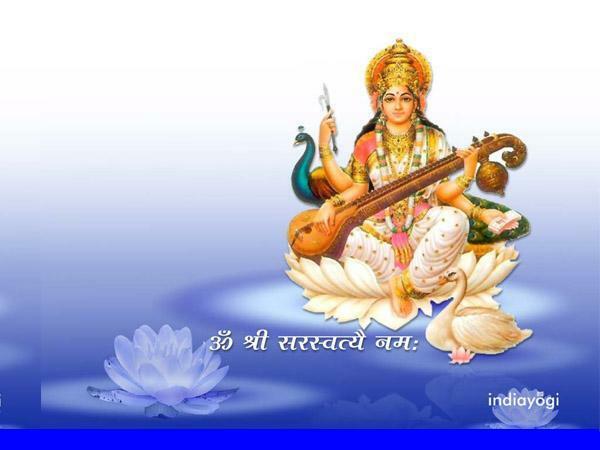 Goddess Sarasvati is known as the Goddess of Speech or Vag Devi and She symbolizes importance of Speech Etiquette and Speech Discipline. Intellectual impairment due to drugs, disease, and old age cause Speech Disorders. Co-ordination of sensory and motor functions is vital for normal Speech. 3. Aphasias : These are speech difficulties or absence of speech where the person has no motor disorder and the articulatory system is intact. Three major varieties of aphasias are described. 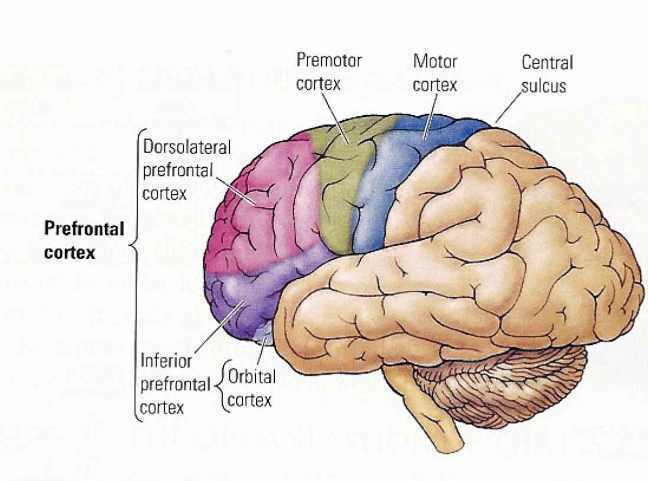 a. Broca’s, motor/expressive/Non-fluent aphasia : Broca’s area of brain produces verbs, builds sentences and predicts what people are going to say. Problems in this area makes the person’s speech non-fluent as the person has profound word finding difficulties. The person speaks slowly and with great effort. The speech is described as ‘telegraphic’ because it has no grammatic structure and small connecting words (e.g., and, or, but), are missing. The person comprehends well. The person can formulate thoughts in appropriate words i.e. 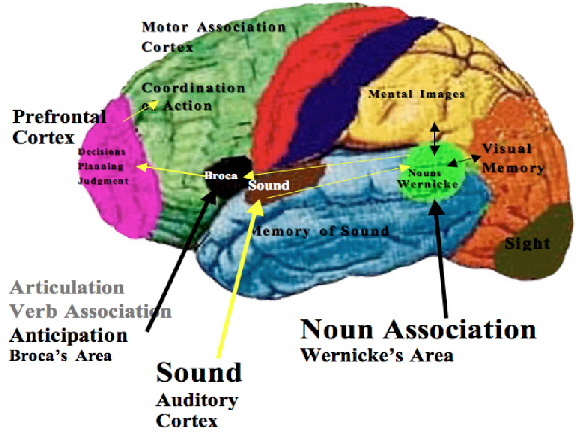 internal speech is preserved, but is unable to translate them into corresponding sounds. b. Wernicke’s/Sensory/Receptive/fluent aphasia : Wernicke’s area of brain is involved in learning patterns corresponding to different types of auditory stimulation. It attaches meanings, images, and feelings to sounds and to individual words. Problems in this area would result in severe impairment in comprehension of language( both spoken and written). The person speaks fluently with ease and often in large amounts. However, the speech often goes in circles( circumlocutory) and contains incorrect word usages( paraphasia). The person fails to understand or carry out spoken instructions. Internal speech is disturbed and hence there is impairment of external speech. The person cannot understand what he hears. 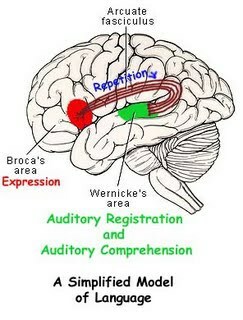 c. Conductive aphasia : The nerve fibers between Broca’s and Wernicke’s areas are involved in this type of problem. The person has trouble converting auditory input to verbal output. It is characterized by a marked inability to repeat words or phrases spoken to the person. d. Dyslexia and Alexia : Impairment of reading ability in individuals with normal intelligence either due to a developmental disorder or due to acquired brain lesions. 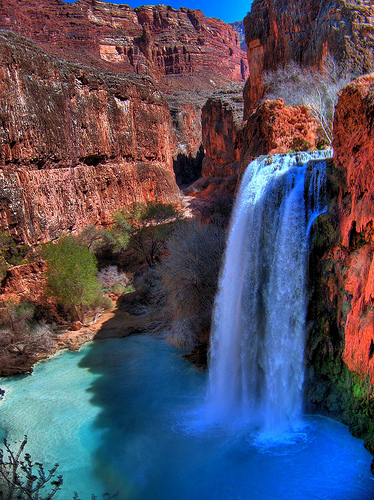 Eloquent Speech is comparable to free-flowing water, the words come out continuously without any apparent effort. The Concept of ‘Mental Fluidity’ is very important to appreciate Eloquent Speech. Eloquence has a charming quality of its own, it is pleasing to the ears of the listeners and captivates the minds of the members of the audience. 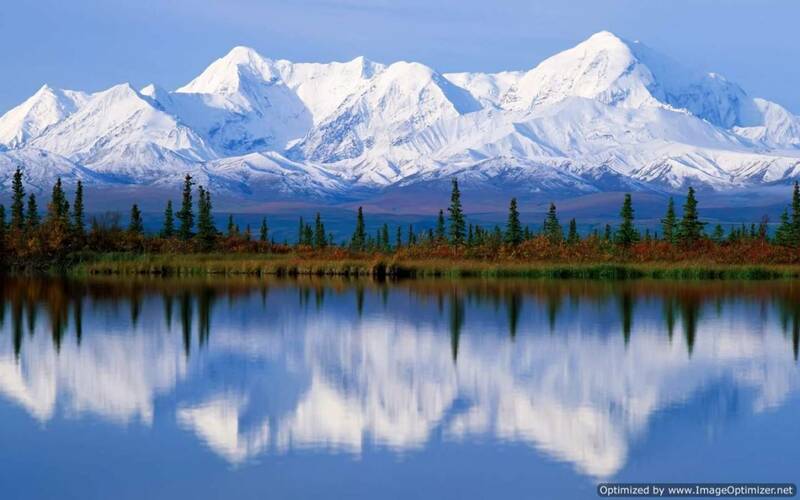 Speech should make the same impact in terms of its appeal like a scenic picture. Kunda’s whiteness symbolizes Purity. 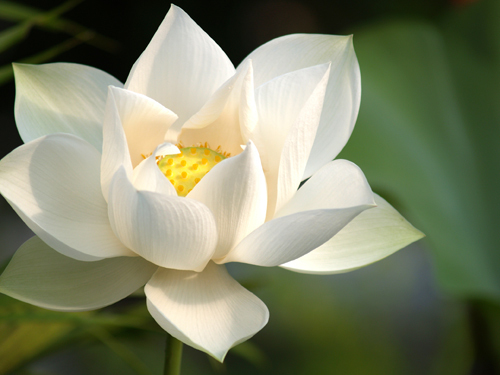 White Lotus symbolizes Purity. 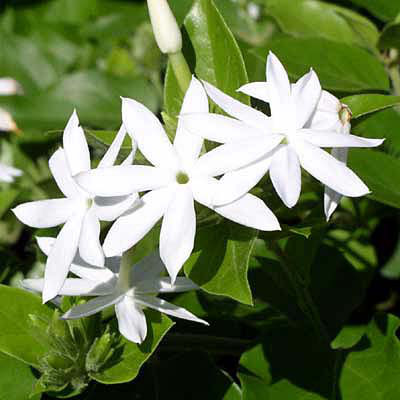 White and radiant personality symbolizes Purity. Mind if it is responding slowly, a condition of ‘mental lethargy’ described as ‘Buddhi Mandhyam’, the man cannot realize his creative potential in the field of letters, speech, arts, and music. The Vedic River of Sarasvati is personified as the patron Goddess of Speech (‘VAC or VAK’). Sarasvati enjoys a unique autonomous position and apart from man, the entire Hindu pantheon of Gods pay obeisance to Her and seek Her protection to destroy and dissolve the problem of mental lethargy which impairs mental activity. 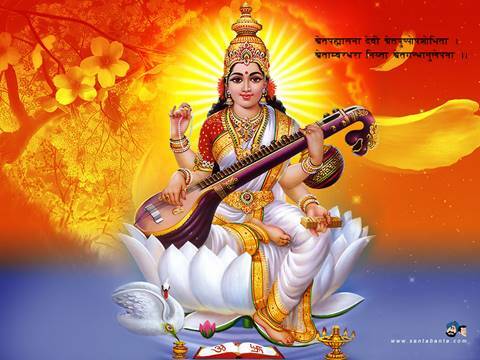 The mind of man cannot be set free unless the mental barriers and mental fences are totally eradicated and Sarasvati is allowed to flow in its natural state without impediments. 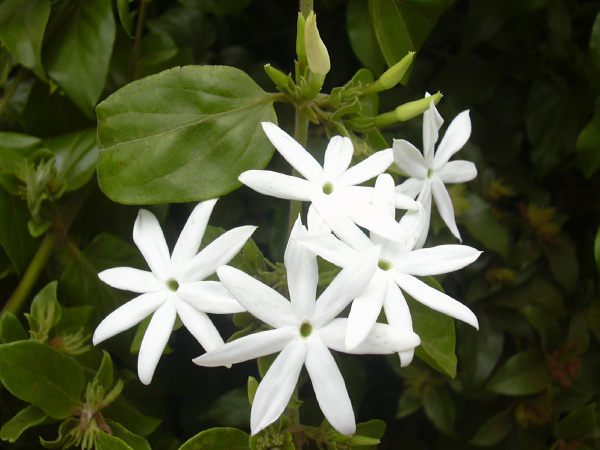 Jasminum multiflorum, ’KUNDA’, Star Jasmine, Native of India. 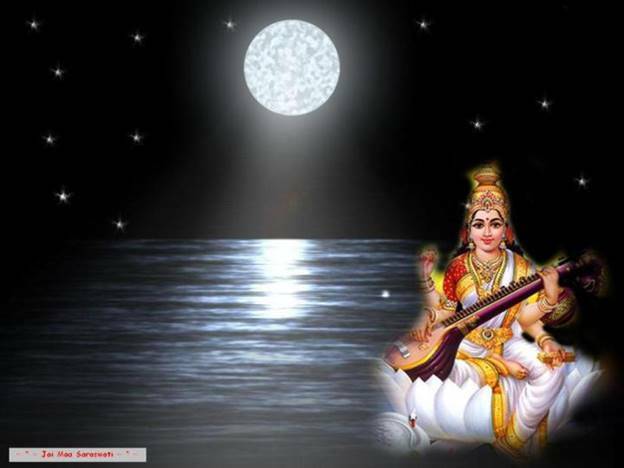 Moon, ‘INDU’ and the radiant personality of Sarasvati. ‘TUSHAAR’, Snow clad peaks of Himalayas, the abode of Snow and Ice. 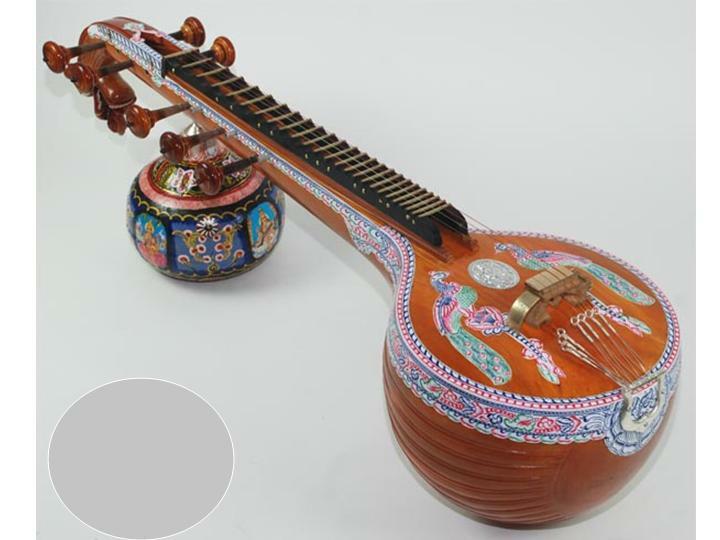 ‘VEENA’, stringed musical instrument, native to South India. Nelumbo nucifera, White Lotus flower, ’Shwetha Padma’, Native of India. 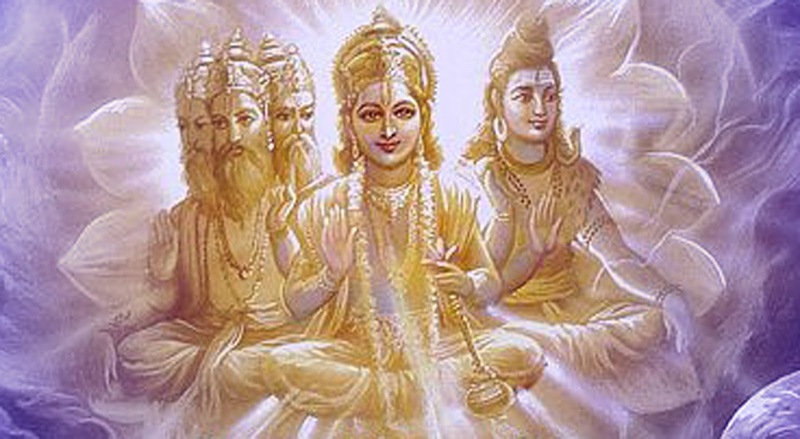 The Divine Trinity, Brahma, Vishnu, and Shiva join to worship the Goddess of Knowledge and Wisdom. 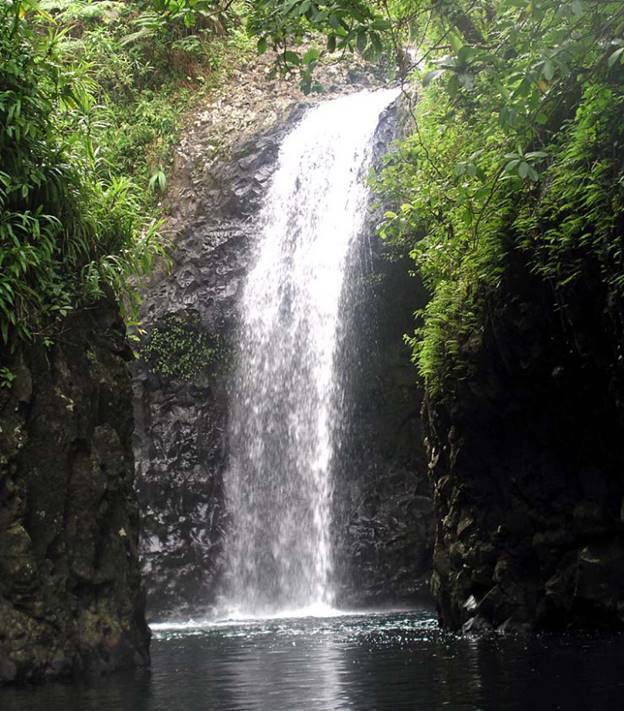 The Rig Vedic River Sarasvati, the source of pure, nourishing waters. 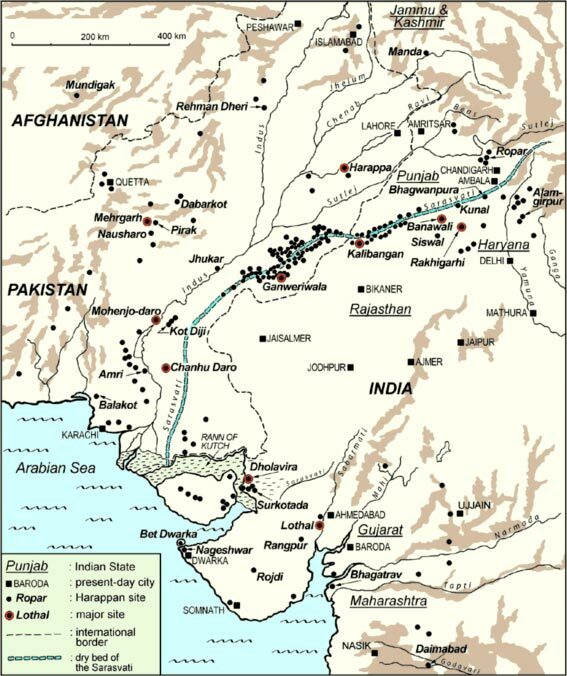 The Sanskrit language and the Devanagari script originated here. 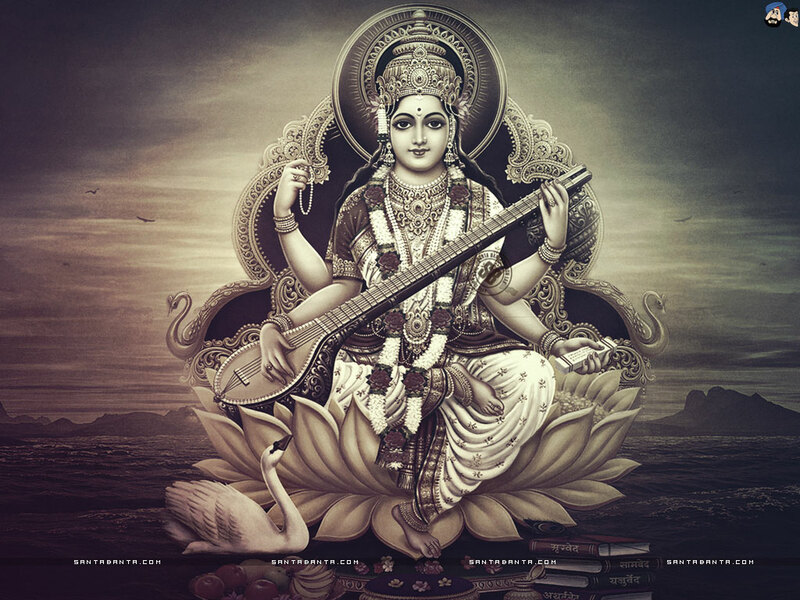 Sarasvati, the destroyer of Mental Inertia and Lethargy. Bhagavatee,Facilitator of man’s journey from Reality to Ultimate Reality. 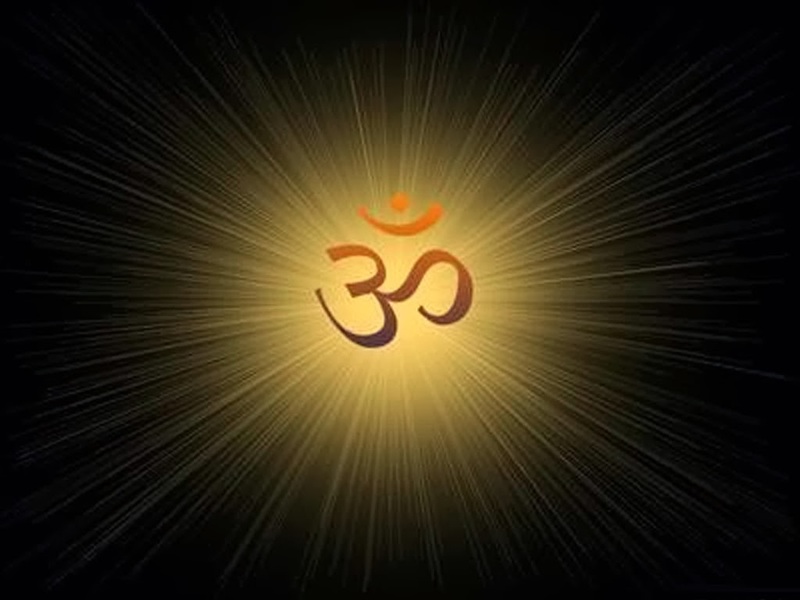 ‘AUM’, the Sound Invocation for Sarasvati Vandana.